You want to provide the healthiest home possible for your family. Netatmo’s Smart Indoor Air Quality Monitor shows you how. 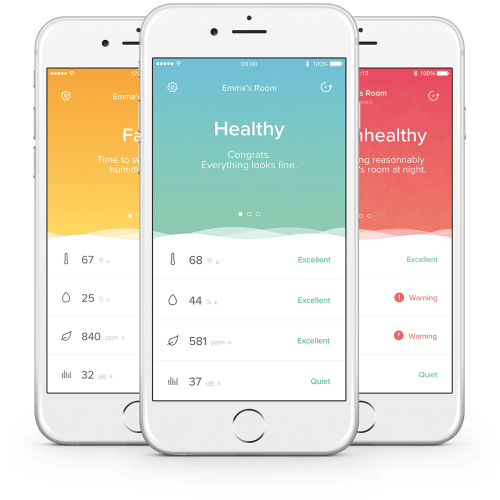 Whether it’s the best noise level for sound sleeping or the right humidity levels for a child with asthma, the Monitor measures what matters with its sensors, highlights potential problems, and tells you how to fix them. 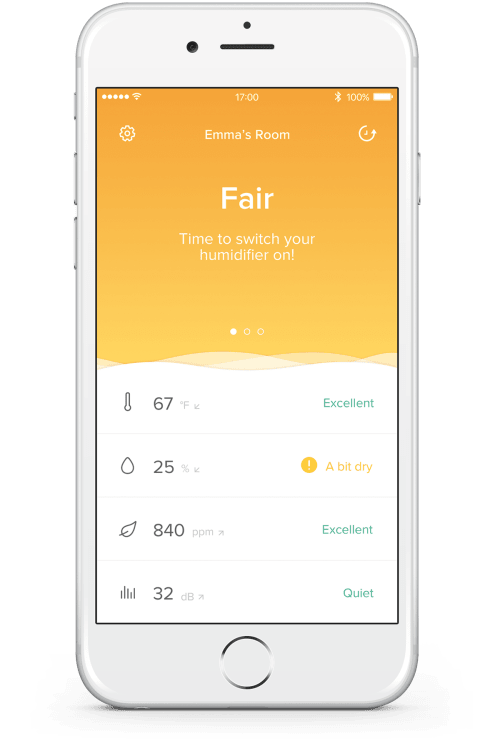 The Smart Indoor Air Quality Monitor tells you what you need to adjust to create a healthier environment from your baby to your asthmatic child to you. Know when to turn your humidifier on or off. Learn how to reduce indoor air pollution. Monitor the sound level to achieve a good night’s sleep. Make sure the temperature is right for you, day and night. An hour, a day, a week, a month, a year and more! Access your measurement history and analyse the impact of your actions on the environment. Practice good habits to improve your well-being. Your comfort depends on your indoor environment. If it is too cold, there is too much humidity, the air pollution or noise levels are too high you can feel uncomfortable. Our Smart Indoor Air Quality Monitor tells you what you need to adjust so that you always feel good in your home. A healthy indoor environment helps you to feel great. Headaches, fatigue, a lack of energy, coughs, allergies or asthma can all be caused by an uncontrolled environment. Our device measures the key data of your home to allow you and your family to live in a healthy environment. A healthy bedroom is key to a good night's sleep. 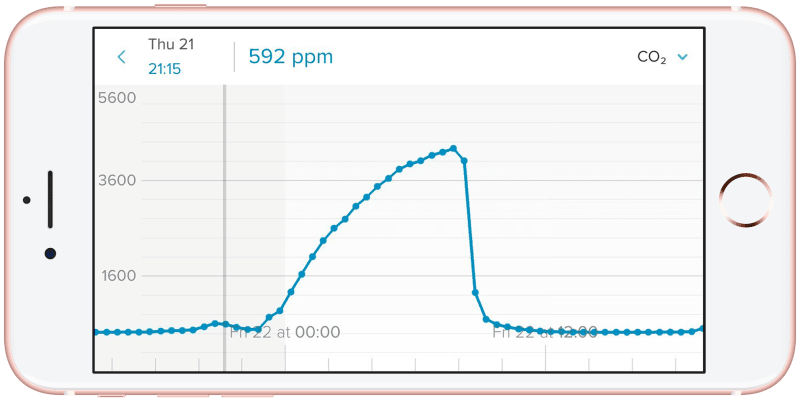 Whether it's the right noise levels for sound sleeping, changes in air quality whilst you sleep or the best temperature for sleeping, our Air Quality Monitor shows you what to do. Check the data history for these parameters to improve your quality of sleep. Temperature, air quality and noise levels have an impact on your productivity and ability to concentrate. Create the perfect working environment in your home, so that you can work, or your teens can do their homework or prepare their exams in good conditions. 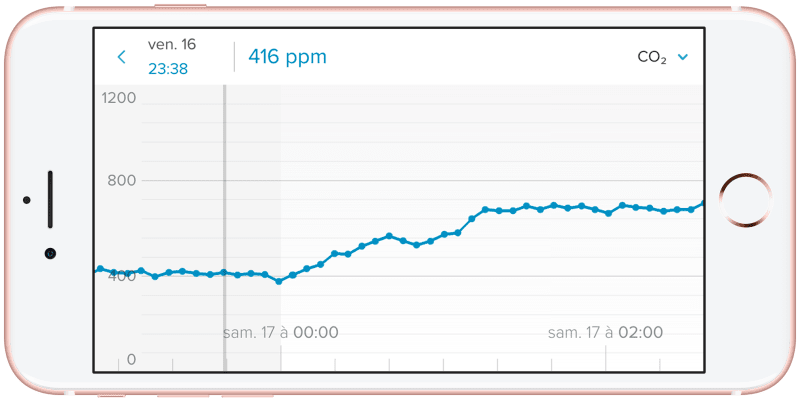 Connect several Smart Indoor Air Quality Monitor devices to monitor data from all your rooms in one App. Company coming? Make sure you provide the best indoor air quality (IAQ) possible and get an alert from your device when things start to get out of hand. Monitor the temperature and noise levels so you can keep them right where baby sleeps best. Is all of that healthy cooking you’re doing turning your kitchen into a sauna? Our Air Quality Monitor knows before you do and tells you how to fix it. Make sure the humidity level is stable to enable your child with asthma to breathe easily. Receive an automated alert any time it needs to be adjusted. Keep things comfortable by monitoring the humidity and temperature levels from your App. Sleek and elegant, our Air Quality Monitors blend easily with any home’s décor. Just log in using our app and access your home’s indoor climate data from anywhere. Easy Wi-Fi set up. No subscription, no fees. With just one tap on the top of the device, the Air Quality Monitor lights up to give you immediate insight into the health of your home. Monitor better your home by placing a Smart Indoor Air Quality Monitor device in each room that matters in your family life. An excellent tool for making your home a healthier place to live. Even from outside, I was able to better understand how my house reacted to factors such as temperature, humidity, CO2 and even noise. Provides accurate indications of air quality in the home. Helps you take appropriate action. Stay connected: get our advice, news and promotions by e-mail!